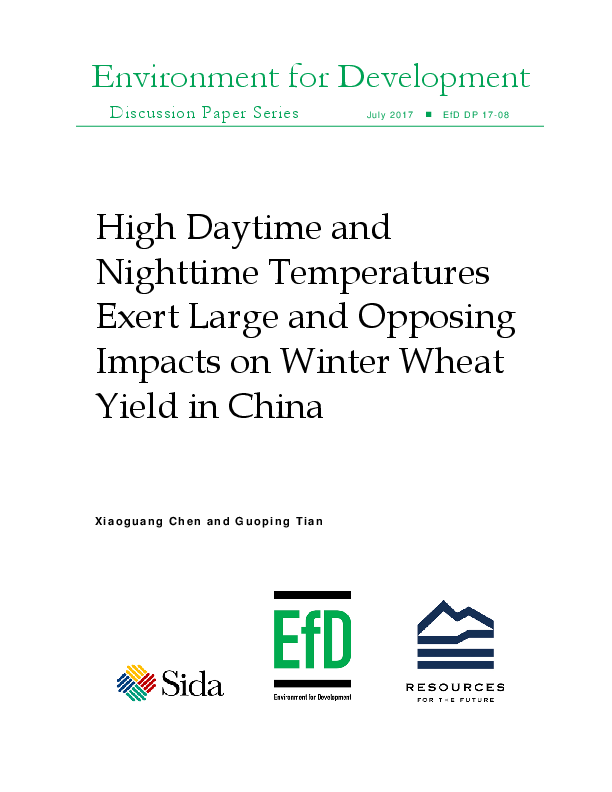 We analyzed a provincial-scale data set of observed winter wheat yield, together with fine-scale daily weather outcomes from 1979 to 2011, to assess the responses of winter wheat yield in China to changes in the daytime temperature (Tmax) and the nighttime temperature (Tmin). Contrasting with the literature’s emphasis on a negative correlation between Tmin and wheat yield, we showed that winter wheat yield in China responded positively to higher Tmin, with the positive yield responses varying across wheat growing seasons. In line with the previous studies, we found that winter wheat yield exhibited negative responses to higher Tmax. These findings are useful for the development of China’s wheat-breeding programs and the design of efficient adaptation strategies in China’s grain sector to cope with future warming.